Yes, just like the movie. And all the girls wear tiny shorts. 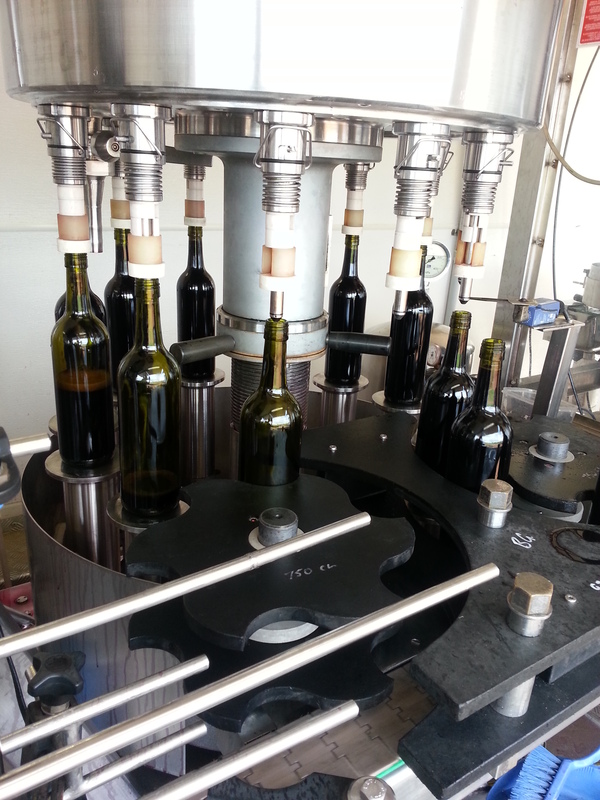 As of today, we are poking our heads up from tall, tall stacks of brand new pallets of wine fresh off the bottling line. 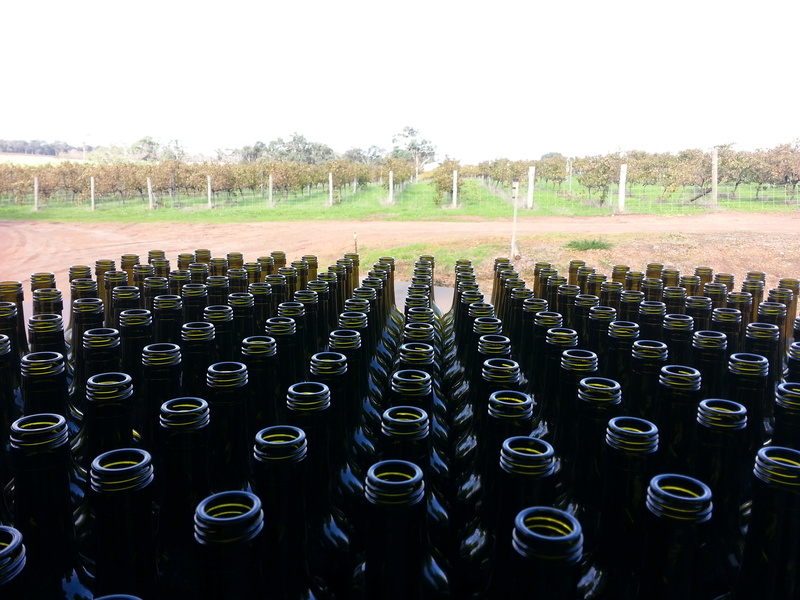 The last two weeks have been a blur; a mini-vintage of finishing wines. We had eleven wines to prepare – including fine, rack, filter, and adjust – and a small window of time, especially as we were two-down on a quad team and only three empty tanks, what with vintage just barely over. It was fun. And great Tetris. Rack the tank! Clean the tank! Filter the wine! Clean the tank! Run the numbers! Do acid and fining trials! Adjust the wine! Do it again! Do three of them simultaneously. I felt like I could almost control the pumps with my mind. Days flew by like they usually do during harvest. 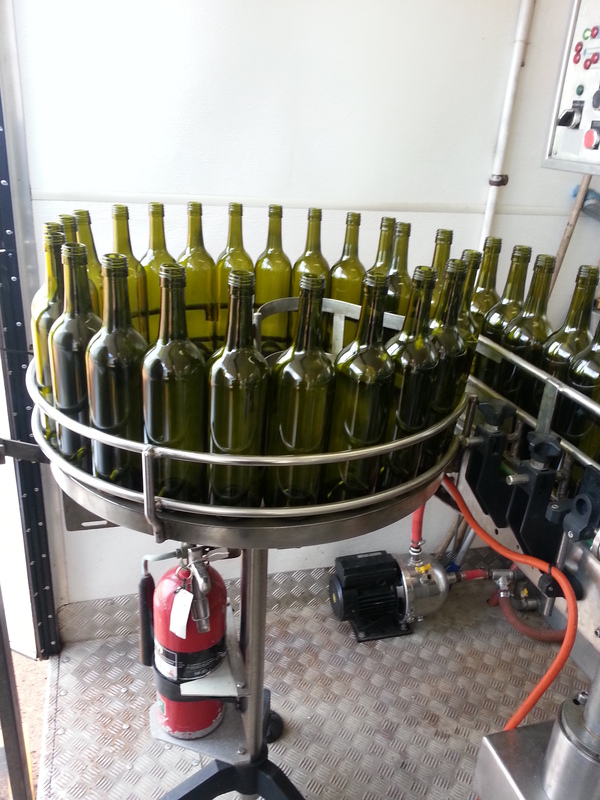 And then we bottled. 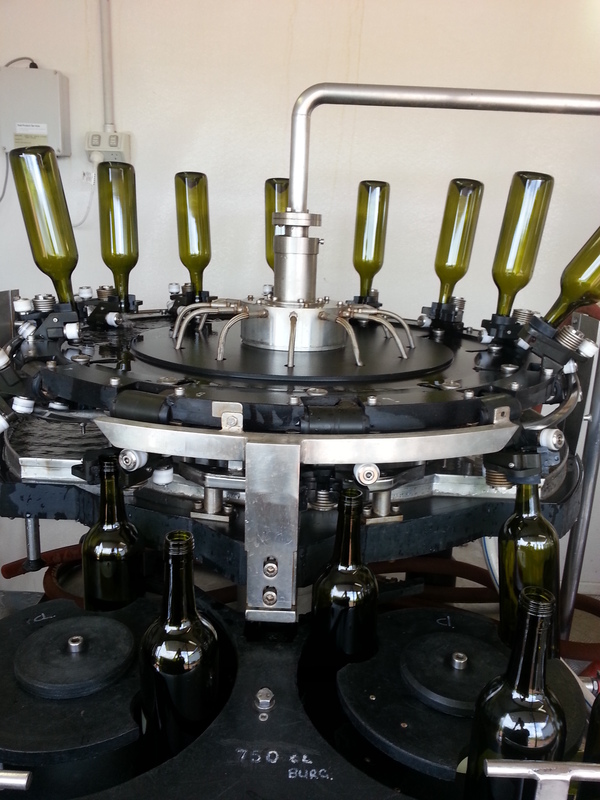 As discussed before, bottling has both its drawbacks and its appeal. Boredom, relentlessness, loudness, inner dialogue about what one has done with one’s life to be lifting glass bottles for 9 hours straight. 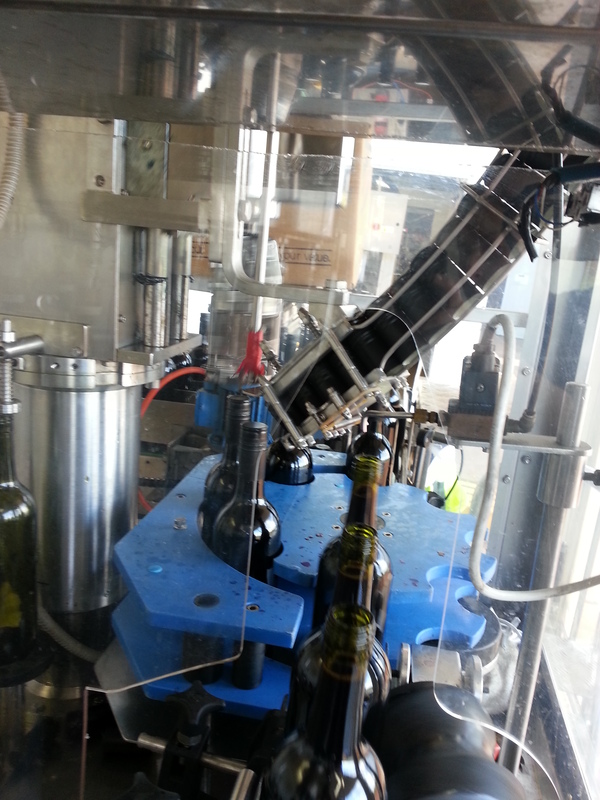 But also, satisfaction, camaraderie, occasional minor-crisis-induced excitement – the labeler is off the tracks! There are labels everywhere! We’re out of boxes and the bottles are still coming! Ohmygod! – and the relative peace that comes from a rhythm. The hardware dweeb in me loves the bottling line. It’s like the lab scene in “Willy Wonka” – moving arms, cogs, wheels, conveyors, hydraulics, bells, whistles. . . It gets very, very old but it stays impressive. And somehow it even has aesthetic appeal – all that pretty glass lined up, the streams of red wine against the green glass, the spinning screwcaps, the labeled wines marching like proud graduates toward their future. A colorful imagination is a past time, especially on the bottling line, where no one can hear you think. And now? Now the rains come to Margaret River, and the smell of farmers burning off and damp earth.